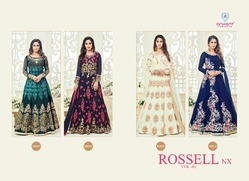 Offering you a complete choice of products which include anarkali suits marina vol 4, anarkali suits, georegett glossy simar amyra anarkali suit, anarkali suit, salwar kameez and your choice (celebrity --2) design anarkali salwar kameez. The exact origin of the salwar kameez is not known but it is believed that it was introduced by the Muslim rulers and it was brought into India by the Central Asian invaders. Eventually, it became popular and is now used by a number of women, especially by the Indian women. 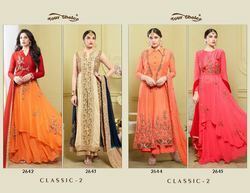 The salwar kameez has transformed with the time and the look has changed from traditional to more contemporary. 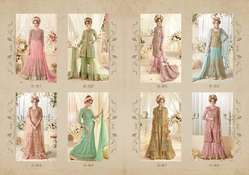 A number of variations have been introduced and these include variations in the fabric used, the kind of work done and the cuts as well. 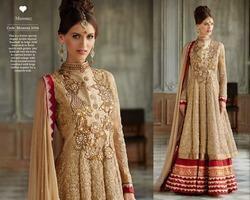 Even the length of the kameez can vary as it can be of short length, knee length and it can even flow down to the ankle. 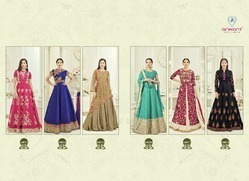 The design work can also vary and so, you can find salwar kameez with heavy embroidery work on it which makes it suitable for formal events. The salwar kameez is famous among Indian women as it is a very comfortable outfit which can also be used in different weather conditions. 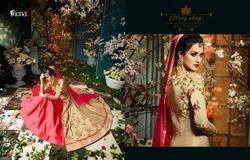 It is also a very graceful outfit which can be used at formal events, work place, dinner or even parties. 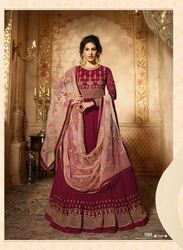 Salwar kammez is also considered as an alternative to sari as it is easier to run and walk while wearing a salwar kameez when compared to a sari. So, a salwar kameez is a comfortable, graceful outfit can be worn by anyone on any occasion. 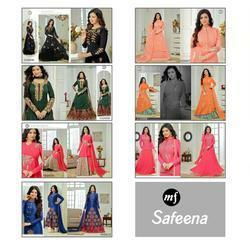 Salwar Kameez is a combination of three pieces-Salwar, Kameez and Dupatta. 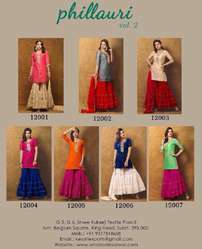 A salwar resembles a loose pyjama and it is drawn tightly at the waist and it tapers at the ankles whereas a kameez forms the upper part of the dress and it is worn above the salwar and it is of knee-length. Some women even use a long scraf with salwar kameez and this scarf is called a Dupatta. 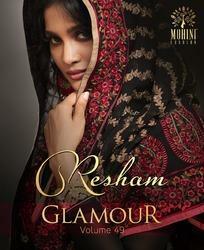 A dupatta is generally used around the neck or the head. Some women use dupatta as a stylish accessory and some women use it to cover their head in the presence of elders or while visiting temples.